Dr. Rosario explores the alarming statistics regarding education of Hispanic and African American students. She presents the foundation for designing effective teaching models. Dr. Rosario challenges the notion of a historical document being “history”. She offers that primary and secondary sources are only perspectives of the larger whole. How does that change the paradigm with which we study the past? What affect does cultural relevance have in youth learning? Is its absenteeism the cause of current student apathy? How might it engage students in the future? 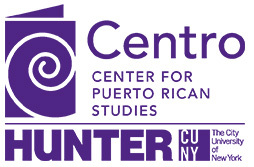 This multi-session course was designed for high school teachers of History, English, and Spanish and explore the history and culture of Puerto Ricans in New York City.